Why is Kami Automatically Opening my Files? 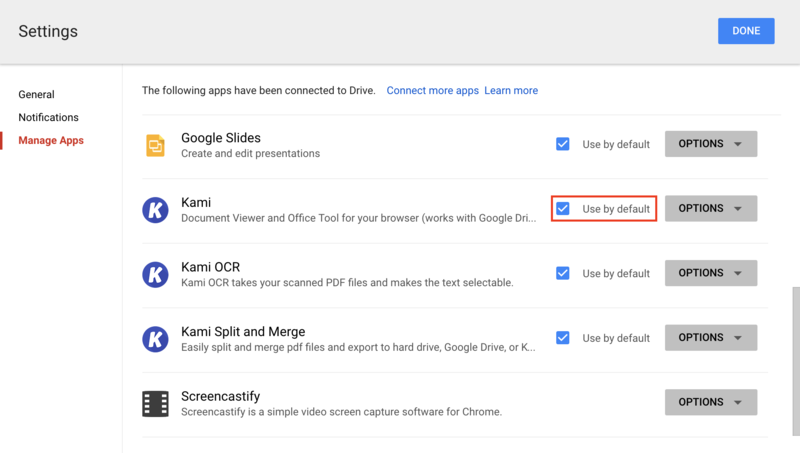 There are two places that Kami can open files, your Chrome browser and Google Drive. 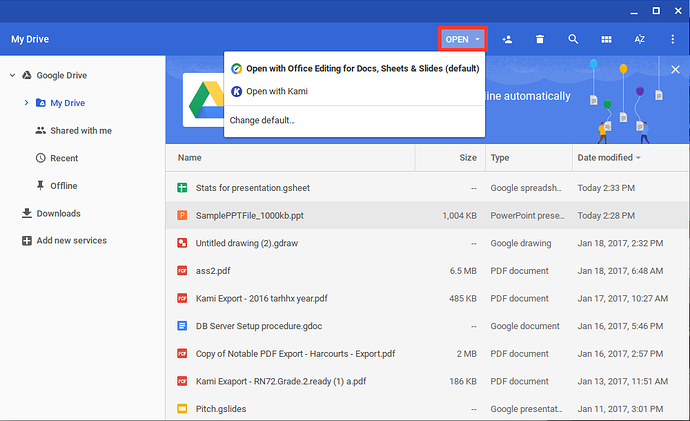 Open Kami and click the profile icon found on the upper right corner of the window, and click Settings. 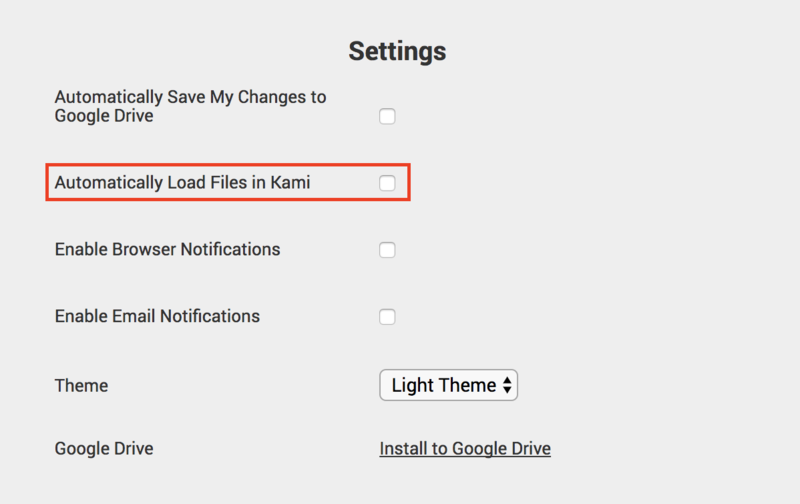 Tick 'Automatically Load Files in Kami' if you want Kami as your default file viewer. Untick the option if you don't want Kami to be the default viewer. 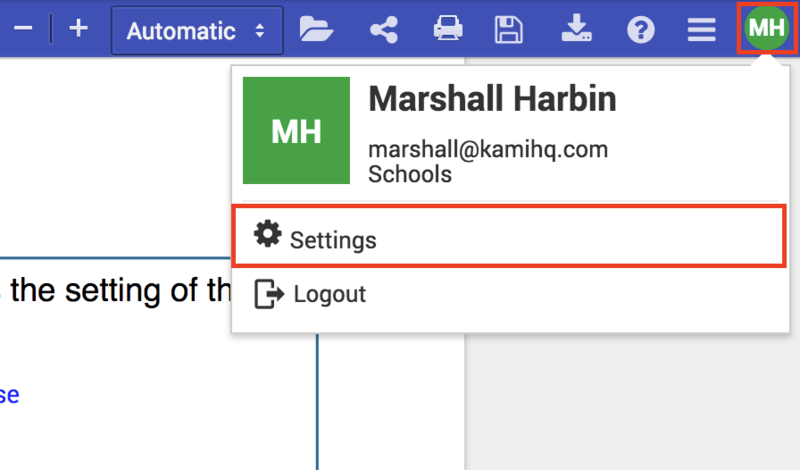 Note: This option is only available in the Kami extension. Please click here for the Google Chrome extension. 2. Select the gear button in the top right corner, and select "Settings." 3. 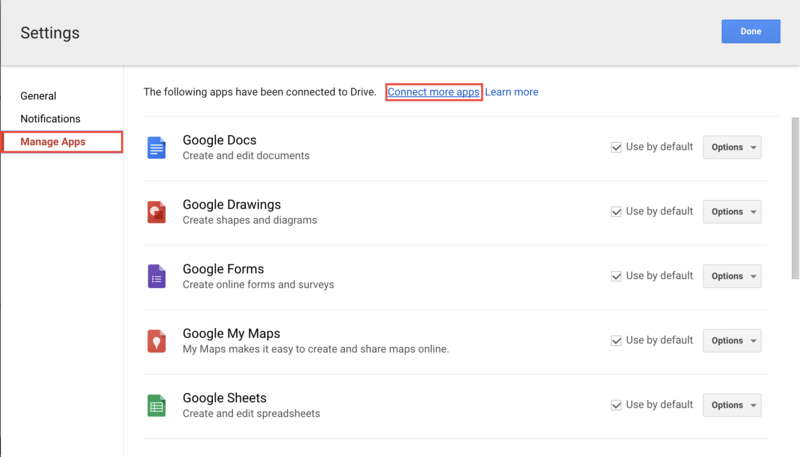 Select "Manage Apps," and then select "Connect more Apps." 4. Search for Kami, and select "Connect." 5. Go back to Manage Apps, and select "Use by default." First, navigate to the Files app. 1. 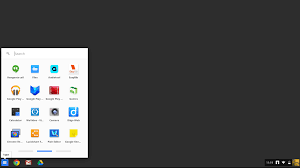 Click the App Launcher icon in the bottom-left corner of your screen. 2. Locate the app icon for Files and click it.